Life, for most of us, is confusing and unpredictable. There are so many things to do and take care of and between taking care of your daily business and keeping up with the Kardashians, you likely find yourself grasping for something that feels familiar. Something that doesn’t require you to think on your feet or react quickly. For those of you who are not fans, I have news: the NFL is that something. The NFL, for all of its excitement, never changes. There are teams that are always good, and teams that are always bad. There are players who consistently produce, and those that consistently disappoint. There are undrafted players who turn into stars, and top draft picks who turn out to be busts. So routine is the NFL, you can actually zero in on when certain things are going to happen, as though you’re some kind of pigskin prophet. 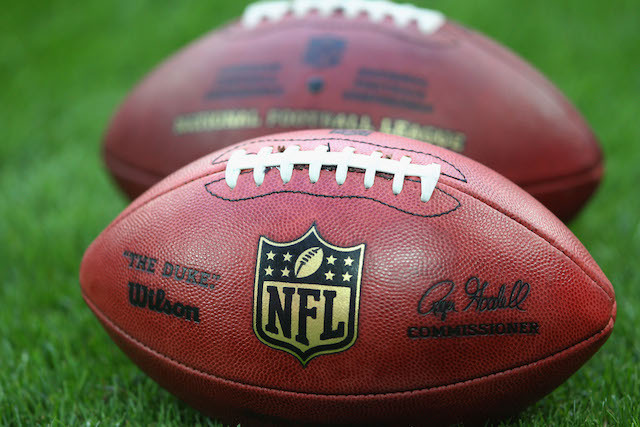 After Week 2, at least one expected playoff team will be 0-2 and the 8000 ex-players and coaches employed by the various networks that have football coverage will have a lengthy debate about what that team’s prospective odds of bouncing back and still making the playoffs are. Since we’re currently going through training camp, with the preseason just around the corner, here are three quick storylines you, as fans, should be on the lookout for. They won’t just be passively mentioned, either – when they come, they will come hot and fast and furious and constantly, like the incessant buzz of mosquitoes that have flown into your ears multiplied by a thousand. 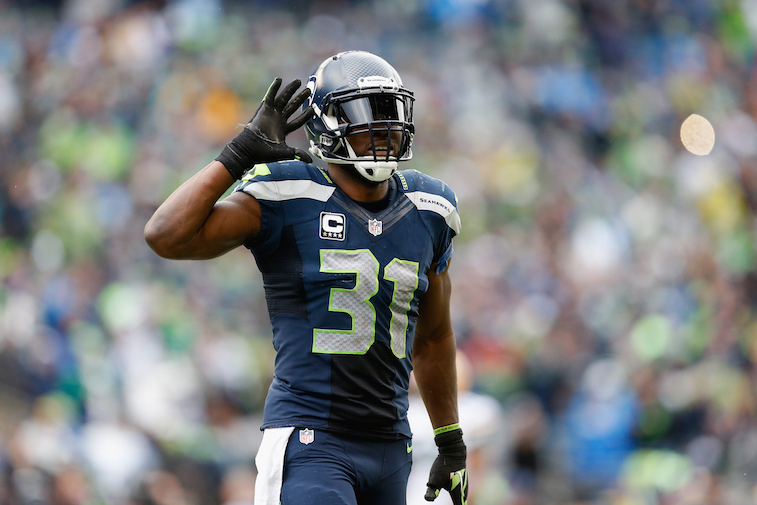 It looks like we already have a winner on this one, with Kam Chancellor. Here’s hoping he stays out. There’s no begrudging him trying to restructure his contract (although, it is a contract), but holdouts are one of the best preseason stories. In the case of the Seahawks, it comes in the wake of Russell Wilson and Bobby Wagner getting big new deals and so naturally, we should expect some great boilerplate talk about the NFL’s parity and the difficulties of building and maintaining a dynasty in modern times. Take it to the bank. Book it right now. 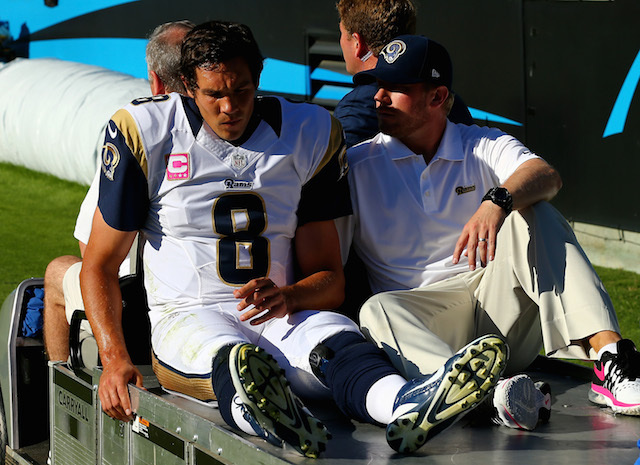 At least one starter is going to tear an ACL early in the preseason. This will lead tons of Internet commenters and sportswriters and talking heads to demand that the all-powerful Roger Goodell “do something” about this unnecessarily long preseason schedule, which is destructive and ruining players. They’ll totally miss the irony of lauding the preseason’s efficacy when a rusty player comes off of a holdout and looks as though he’s a little out of shape or unfamiliar with some new wrinkles in the playbook. You’ll be powerless as you’re treated to a bunch of bad ideas to shrink the preseason to little more than a series of intrasquad seven-on-seven drills without pads. The worst case scenario in this instance is some kind of rash of concussions, which would obviously lead “league sources” to text Adam Schefter with questions about whether they should even be playing this game at all. 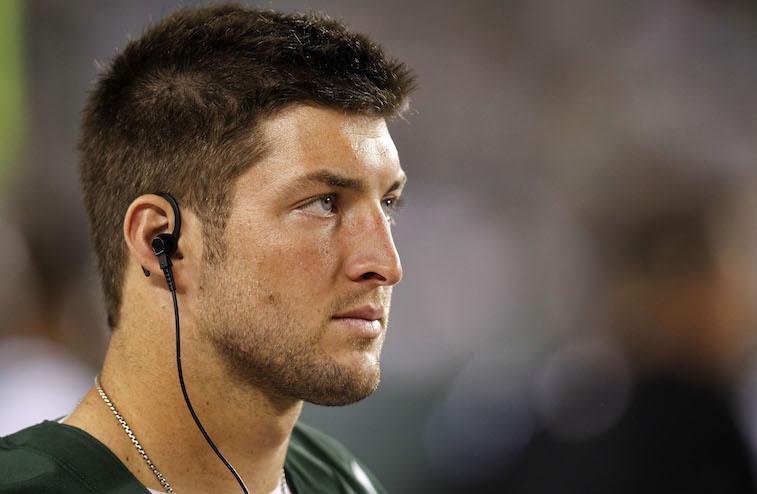 Tim Tebow last played meaningful football at the end of the 2011-2012 season, when his miraculous and improbable run ended abruptly with a (divisional playoff) beating in New England. You would have never known, just from watching ESPN, that he hasn’t been an actual on-field factor in three and a half years. There was that crazy Jets stint, which included his backup quarterback press conferences, people actually defending the passing abilities of Mark Sanchez in a trumped up competition, and then his momentary time in the Patriots’ training camp in 2013, after his Jets tenure had come to a close. He’s a tremendous human being and someone who seems like he ought to find an athletic niche on the football field, but Tim Tebow hasn’t done a lot in live action since President Obama’s first term. And yet, because he’s ratings gold, you can bet that since he’s currently employed again, Eagles camp coverage will have a person practically assigned to shadow him, constantly looking for an inside scoop as to what role Chip Kelly could have possibly dreamt up for him to fill.